Working for myself as a female voice over talent and independent contractor, I enjoy the luxury of having some degree of control over key aspects of my business such as my rates, my time, my schedule, and my terms of working with my voice-over clients. I really love the work I do. I suspect it could be a bit of a shock for newbie voice over talents to know that I spend more than half of my day sitting in my business office engaged in email and phone conversations with current and prospective voice-over clients, quoting voice over services, firming up details, coordinating recording sessions on my calendar, editing and delivering finished audio files, following up on projects, and generally making sure my voice-over clients have exactly what they need. I’ve talked a lot in previous voice over articles and blogs about serving my voice-over clients, so I thought it would be appropriate here to discuss Goal #2. I know from my own personal experience and from reading stories shared by other seasoned voice talent, that getting paid can sometimes be a tricky thing. 1. Feeling worthy and deserving of receiving hundreds or thousands of dollars for something that doesn’t seem very difficult to the average person (but in reality can be extremely difficult). 2. Knowing how much to charge for your voice over services. Rates can vary drastically depending on a variety of factors including market size, usage, union involvement and budget of the client. 3. Creating an accounts payable / accounts receivable system and staying on top of invoicing. Basic accounting skills and ability to track payment status are critical. 4. Knowing what to do when a voice-over client is late on their payment. Getting paid can sometimes enter a “gray” area and not knowing how to handle what matters most can become a big obstacle for voice over talent who are new to the business. 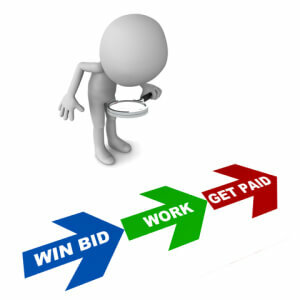 Over the coming weeks I will be exploring various aspects of how to get paid by voice-over clients. Look for the next chapter in this series of articles in about a week. Debbie Grattan has been delivering Voice Over Services for more than 20 years. She has worked on over 10,000 projects while partnering with hundreds of production companies, marketing and advertising firms, commercial voice-over recording studios and corporate/business clients around the United States and abroad. Check out her Demos and request a Complimentary Custom Audition for an upcoming project.